We’ll be having another agent-judged contest next week here on the QueryTracker Blog, so stay tuned for details on how to enter early next week! Win a copy of BOOKLIFE: Strategies and Survival Tips for the 21st Century Writer -- visit Colleen Lindsay's blog The Swivet to enter before November 4th. New Agent on QT: Marissa Walsh reps Children's, MG, and YA. New Agent on QT: Jill Marr at Sandra Dijkstra is looking for commercial, historical, multicultural, thrillers/suspense, women's, and YA fiction. Rachelle Gardner explains how she's changed what she's looking for. Janet Reid gives you querying tips in a nutshell. And visit The Guide to Literary Agents for the extended version! Rachelle Gardner teaches us All About Backstory. She also Gardner explains The Process of Getting An Agent...from the agent's POV! Market My Words interviews Eric from Pimp My Novel on how sales and marketing works for publishers. Includes tips on how best to work with the publisher! And of course, NaNoWriMo begins on Sunday. (That's National Novel Writing Month for the uninitiated -- you have to write a novel of 50,000 words or more in one month! Click the link to visit the official site and learn more.) Who's going to play this year? You sit down, open the document, and...proceed to stare into the great black abyss like somehow your MS will edit itself. Oh, sure, maybe you're like me and you immediately click on gmail when something earth-shattering doesn't hit you about your novel. Or Farmville. Or Cafe World. Or a writing forum. Heck, maybe you even distract yourself with Hulu and Free Rice. And when you get really desperate, well, let's not go there. I know (trust me, I KNOW) the thought of editing an entire manuscript is overwhelming. Daunting. Like climbing the mountain--again. So today, I'm going to give you some pointers that have helped me tackle my 320-page manuscript, edit it, polish it, get it to betas and then out the door in less than 30 days. Strap yourselves in. 1. Set goals. Not only a "finish-by" goal date, but goals for what you want to accomplish in the edit. Does character A need more depth? Do you need to introduce the antag earlier so readers know who/what the MC is up against? Do you need stronger world-building? Faster pacing? A sub-plot that needs fleshing out? What are you trying to accomplish with the edit? Know what these are. Don't freak out that there's SO MUCH that needs to be done. Just make a list. 2. Chunk your MS. It's much easier to wrap your mind around 100 pages rather than 350. So chunk your MS into manageable sections. I split mine into three distinct pieces and worked on them individually. Okay, so you really haven't opened the document and started yet. This is all the "behind-the-scenes" stuff that you can do in a notebook or in your head. It usually takes me 2-3 days to make my list and chunk my MS. Take some time to do this. It helps things settle in your head before you actually start. 4. Transfer from paper to computer. Remember, this is only for the first chunk. For me, it was about 115 pages, and it took me about 3 days to read, line edit and make notes for the section. Then I finally opened my Word document and started with page one. I entered the line edits, written changes and deletions. When I got to spots where I had a note for new material, I wrote it. Everything is done with the "Track Changes" feature on, so I can see what I've done. Actually transferring the changes is easy. And since you have something tangible to do, you don't waste any time staring at the screen, wondering what to do and where to do it. Transferring only takes 1 day. Maybe longer if you have large sections to add/rewrite. 5. Rinse and repeat. After section one is transferred into the computer, print section two. Read, pen in hand, post-it's nearby, computer off. Transfer to manuscript. Print section three. Read, transfer. Since I only had three sections, I edited my entire novel in about 12 days. With the goal-making, I finished a round of (major) edits in two weeks. 6. Send to readers. Now, this could be an entire post by itself. But I don't have time for that, so I'll just say to choose people who you A) trust and B) love and C) will read FAST. I mean, you only have 16 more days. I recommend recruiting a few (meaning: 2 or 3) readers who will critique as you finish chunks. So really, you could have stuff out with Beta readers after you transfer the first chunk. When they finish, send them the second, and so on. This way, you're not stalled at this point in the process, waiting for reads. You've been getting them back on shorter sections. Which is how you want to work anyway. 7. Go over crits, make changes. Add stuff, delete stuff, etc. This is just a polish. You've already done the major reconstruction. Now you're just smoothing over the edges, based on what your readers have said. If you have fast readers, you can probably get this done in a week or so. I think I had my chunks back and crits incorporated in about 8 days. 8. Leave it alone. Which means, leave it alone. Don't open it. Don't read it. You can think about it if you want. I didn't. 2 days. I actually did this immediately following the final transfer (step 5), while waiting for reads to come back on chunks. It doesn't matter when you do it, but it's vital. Seriously, leave it alone. 9. Send entire, repolished MS to trusted readers. These are NOT the same people who read the chunks. Different people. I had 4. I sent them the "final" MS as well as a list of my goals so they knew what I was trying to accomplish with the edit. (*Note, I did this because with one exception, my readers had already read my book, so I wanted them to know specifically what I was trying to do this time around.) Again, they need to be A) trusted B) loved and C) fast. 10. Final edits based on final reads. This system worked for me. I managed to edit my 83,000-word novel, get reads, and polish it up in under 30 days. Hopefully, you've seen something in this list that can help you focus your energy into accomplishing an edit (no matter if it's your third draft or your, um, eighth) of your manuscript without falling into the great black abyss. What do you do that helps you get the editing done? The five QT blog authors have had a great couple of months. Our subscribership here on the QT Blog continues to grow as does the membership on the new and improved main Querytracker site, which now features book publishers in addition to agents. Most of my posts on this blog are industry related, but today I've decided to bring it closer to home and give you the lowdown on wassup with the QT Blog authors. Suzette Saxton accepted an offer of representation from Brendan Deneen of FinePrint Literary Management. The project that resulted in the offer is a dark middle-grade mystery called Secret Sisters. Suzette is as amazing as her writing, so this news is the cause of great celebration around here. Congrats, Suz! More about Suzette and her projects can be found on her website and blog. Elana Johnson's ebook, From the Query to the Call, was released recently--further evidence that she truly is the Query Ninja. Elana will be a guest speaker at the 2010 LDS StoryMakers Conference (Check out the impressive list of folks on the list with her). I love Elana's blog which is a great mix of humor and information. Info on her projects can be found on her website. Carolyn Kaufman has been busy with final edits on her non-fiction manuscript, NERVOUS BREAKDOWNS AND PSYCHOPATHIC KILLERS: The Writer's Guide to Psychology, represented by Kate Epstein of The Epstein Literary Agency. The book is being published by Quill Driver Books. I've had the honor of reading the edits for the final draft, and the book is an outstanding resource for writing, as is Carolyn's website, Archetype: The Fiction Writer's Guide to Psychology, which has a useful Q&A section where you can ask your own psychology/writing questions. She also has a companion blog. Suzette, Elana, Heather, Pat and I want to give a special shout out to Carolyn for all her hard work as blog administrator and for creating the new look of the QT Blog. Heather Dyer's women's fiction, The Edge of Memory, represented by Katherine Boyle of the Veritas Literary Agency is on submission with publishers. Heather has a terrific blog and I'm always humbled when I think about the fact she juggles her job as a doctor with writing. She must have found a way to squeeze more hours into the day. 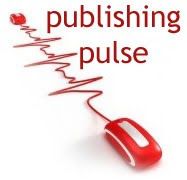 As for me, (Mary Lindsey) my young adult paranormal romance, Soul Purpose, represented by Joan Paquette of the Erin Murphy Literary Agency, is on submission with publishers. Fingers crossed. I'm working on a middle grade fantasy/mystery and am hoping to nail down the first 50k of an adult paranormal during NaNoWriMo. So, that's what we've been doing. How about you? Let us know wassup in the comments. For a crazy-fun look at the dating equivalent of query-speak, go to Kit Whitfield's website. The Exclamation Point!!! (And Other Annoying Devices) on Rachelle Gardener's blog. The Essential Parts of a Novel Synopsis on GLA's blog. This is your last chance to submit material to Blooming Tree Press for the Bloom Award. Open to unpublished authors of Middle Grade Mystery/Adventure Who-Done-It (fiction only), the winner will receive a publishing contract. Contest deadline is Halloween. So, we've already discussed the value of reading your work aloud during the editing process. This works amazingly well, especially for a specific scene or passage at a time. But, if you're planning a full head-to-toenails edit, you're gonna need an awful lot of tea and honey to read a full manuscript out loud. Now, maybe some of you have spouses and/or BFF's lining up for the chance to read your novel to you, but for most of us editing is a pretty solitary endeavor. Well, if you have a fairly recent computer, chances are you do have access to such a person. Okay, fine, you have access to a robotic equivalent of a person, but still an amazing resource. I'm talking about Text-to-Voice software. I had heard that text-to-voice software was included on most recent PC’s (They are intended to assist users with visual impairments), but I’d never bothered looking up how to use it until a few months ago. I find reading aloud to be a great editing tool, but impractical for completing a full edit at my (relatively high speed) pace. I have also noticed that when I read aloud from my manuscript, I sometimes still miss problems like missing or repeated words because I know what the text is supposed to say and my brain corrects the errors without my noticing. I wanted something that would read my text to me, so I looked up where to find the preinstalled software. And there she was… Microsoft Anna, my robotic girl-crush, hiding under “Ease of Access” in my “Accessories” folder. Together, Anna and I obsessed over each word of The Edge of Memory before I submitted my manuscript. Despite frequent careful editing by myself and hundreds of beta readers, I still found a few small typos. I’ve also found a few overuse quirks, like my apparent fondness for starting dialogue lines with “Well,” which each of my characters indulged to some extent until Anna and I were finished with them. Now, granted... Microsoft Anna (or her predecessor, Microsoft Sam, and her Mac equivalent) is no Laurence Olivier. Her pronunciations and inflections aren't perfect (You can hear an example of Microsoft Anna's speech here.) but sometimes that can actually help you look at your prose in a different light. So, if you haven't already, I suggest taking your resident Narrator for a test spin. You can even download other voices if you prefer. Anyone else smitten with their computer Narrators? Thoughts on voice preferences? Anyone familiar with the Mac version? (I'm a PC gal.) Please chime in below in the comments! Imagine that you’ve invented something. We’ll call it a MacGuffin because it doesn’t really matter what that something is. You’re really excited about your invention, though, and the entrepreneurial bug has bitten you. You want to mass-produce your MacGuffin and see it in every home across the nation. Of course, you’re not independently wealthy, so you’re going to have to find investors who will back you financially and help you with mass production, shipping, and marketing. You’ve heard that the first step in interesting investors is to write them a letter asking if you can send them more information about the MacGuffin, so you do that. Of course, nothing is ever easy, and you receive some polite responses suggesting that this company or that one isn’t the best match for your vision, but to keep trying. Rant that your MacGuffin has been rejected — again. Update the query stat blurb on your blog/email signature/Facebook: 19 queries sent. 15 rejections. 1 request for more information. Complain that this whole process of having to go through investors n the first place is stupid — you deserve to be rich and famous, dammit! If you’d do any of these things, stop right there. Do not pass go, do not collect $200, and definitely do not go online. Option 1 is the equivalent of writing up a press release detailing how many companies think you’re a bad investment and sending it to all the major media outlets. Why on earth would you tell the world that someone officially doesn’t think your proposal is the Greatest Idea Since the Invent of Language Itself? Why would you create bad press for yourself? Because let’s face it – who wants to invest in someone with all that bad press? Now let’s pretend that the head of one of the companies you wrote to loves the internet. She gets Google Alerts to let her know whenever her company is mentioned. Or maybe she has a friend who likes to read inventors’ blogs. So it’s only a day or two between your post going live and it showing up in her email inbox. As the head of a company, she’s well-connected in town. She sees both friends and competitors at conventions, charity dinners, and at the local country club. You’ve insulted her, her company, and her graciousness, and when one of the other business leaders in town mentions that someone did the same thing to him, your name comes up. In less than two minutes, you’ve been blackballed over cocktails. Not because your MacGuffin isn’t any good — it may be great — but because you haven’t appreciated that it’s all just business. I’m sure it’s obvious that what I’m really talking about here is writing. The MacGuffin is your manuscript, and your business letter is your query. The business leaders are agents and editors. The writer seems like a difficult person to work with. Wendy always Googles an author’s name before offering a contract. She says she may be prompted to change her mind about signing up an author if they share too much information in their blog, if they tend to blog a lot about how hard writing is, if they blog about being rejected many times, if they publicly bash a book she’s worked on, or if they bash a colleague in the business who is her friend. Writing is a business. When you send out a query or a manuscript, you are asking someone to invest their time, energy, and money in you and your vision. If the person who gets your letter isn’t falling over herself with excitement, why would she agree to partner with you? A literary agent only gets paid if she sells your project. Legitimate agents don’t make money on editing, submitting, or anything else. They make money when they make a sale, and then they only get 15% to 20% of whatever you get. Of course they’re going to choose only the very best projects and the ones they believe are going to sell well. Otherwise they literally can’t eat or pay their rent! Some writers say they don’t need to be paid — they’d be happy to get published for free! Why would an agent want to represent them, either? Your agent needs to make a living. Publishers need to make a living. They only buy projects that they believe will fly off the shelves and make a profit so they can stay in business. I mean, think about your current job: would you make an acquisition or other career move that you thought would bleed money everywhere? How would you justify something like that to your colleagues and superiors? And, if you're nodding along with me now and admitting that you couldn't: what makes that any different from buying a nice book that just won't sell? 6. Decide that you’re either not explaining your MacGuffin well enough or that the MacGuffin might need tweaked to truly be marketable — it’s a tough market out there, and you need to really shine! Always keep these things in mind when you try to get your work published. Your query letter introduces your vision/project and asks the receiver to consider investing her valuable resources in that vision/project. If she says no, accept it with grace and move on to your next possibility. If you get a LOT of no’s, consider the possibility that you’re either not conveying your vision well or perhaps that vision needs tweaked. In other words, maybe it’s not the process that’s flawed — maybe it’s your project. Go back to the drawing board. If she says yes, send her the very best vision/project you can possibly come up with. Realize that lots of people have visions/projects, so yours better be presented as well as possible. If she suggests revisions, realize that she knows the business and consider them seriously. Continue to do what you can to make your project even better. Even if the agent agrees to represent you, she only gets paid if she sells your project. Literary agent Mary Kole (Andrea Brown) is having a query contest for anything kidlit (YA, MG, picture books). Entries due by October 31. Check it out if you write in these genres. Writer's Digest is having their Popular Fiction Contest. Entries due by November 2. The grand prize is $2,500. The Literary Lab is hosting a Genre Wars contest. Entries (for short stories) are due December 1. Check it out for rules and genres. Looking to get your work published? Check out Duotrope's Digest for a listing of magazines that accept submissions. I also stumbled across this blog about Creative Writing Contests last week. Short stories are a great way to get some publishing credits while you're revising or finishing your novel. I loved this post that showed up at the end of September. Author Megan Crewe, guest blogging for Kristin Nelson, says that cold querying DOES work. This brings hope to all of us sending out our query letters, hoping to attract the attention of a literary agent. Read it. Be inspired. I also enjoyed reading through the transcript of a twitter chat between New York editor Cheryl Klein and her client Sarah Lewis Holmes. 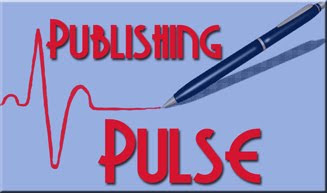 Check it out for some amazing insight into publishing. Twitter is great for lurking and learning. I loved loved loved this post about submitting from a fellow blogging author. Thanks Corey! Have you seen the new groups over on the main QueryTracker site? They're awesome. There's one for Query Letter Critiques, Young Adult Writers and Mystery/Thriller/Suspense Authors. You can make your own group to discuss your writing needs, offer encouragement and make writerly friends. Be sure to check out this new feature of QT. November is National Novel Writing Month. For the past 10 years, writers have been participating in a growing phenomenon called NaNoWriMo. It started in the San Francisco Bay area in 1999 with around two dozen participants and has grown into an international creative event with around 119,000 entrants in 2008. 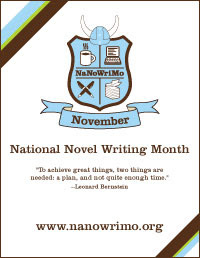 To "win" NaNoWriMo, a writer must complete at least 50,000 words of a new project between November 1 and November 30--an average of 1667 words a day. What is the prize? A website badge, 50,000 shiny new words and a sense of accomplishment. I've never done it before because the creative voice in me says, "No way. I don't write on demand like that." On further evaluation, I've realized that indeed, I do write on demand. I've written 3 novels in less than a month each, not including revisions, of course. I've edited on demand for my agent, and hope to write and edit for a publisher, so why not begin and end on an artificial deadline for NaNoWriMo? "Creativity can't be forced." Tell that to my published friends who write for multiple houses 3, 4, 5 times a year. The goal of NaNoWriMo is quantity, not quality, which means turning off the internal editor. This can be good or bad--or both. The better I become at my craft, the harder this is for me, but I find my story suffers sometimes due my labors over sentence structure and word choice. When teaching English, I would tell my students, "Get the words down, then worry about formatting and cleaning it up later." (Teens like to use creative fonts and formatting when publishing on computer.) I guess I need to heed my own advice to some degree. "Get the words down." I can always edit later. I may have to revise more than I would on a relaxed schedule, but, hey, the words will at least be there. One feature I really like is the NaNoWriMo Young Writer's program. Being a teacher and YA writer, I'm all about getting young people into writing. My teen daughter, who is co-authoring a middle grade mystery/suspense with me, has registered and is looking forward to the workshops and productivity inspired by the program. Spacejock has spreadsheets and organizational tools to keep you in line. Here's an article on Squidoo on organizational techniques for NaNoWrimo. This Squidoo article gives you step-by-step suggestions on how to prepare. I've registered and am totally in for this year's NaNoWriMo. What about you? Tips? War stories? Links to great NaNoWriMo sites? A few weeks ago I enjoyed penning a post for parents who write. I've had several requests for an article pertaining to younger children. After brainstorming with Angie Lofthouse, mother of six and author of about a dozen published short stories, I have more tips that can help you find success and balance in your parenting and writing. First, I think it is important to keep this in mind: Rather than daily life revolving around the children, the children should be involved in the life of the adult. This will result in well-rounded children, and happier parents. Create a daily routine and stick to it. Toddlers thrive on a routine, and you will, too! Plan out specifically when you will write, and stick to it as much as possible. Next, make sure the room or space you're in is as safe and toddler-proof as possible. This way you can just listen to what your toddler is doing instead of having to watch and chase all the time. Having another computer (especially one that doesn't work!) allows Toddler to emulate mom or dad and pound away on the keys. Even just an old keyboard will work for this. Turn the dining room table into a tent. Kids love this! On rainy days, consider bringing some outdoor toys in. Riding a tricycle around the house can be a special novelty. This works especially well in an unfinished basement or an empty garage. Movies - we all rely on them at times. Consider amping up the education factor by adding subtitles and foreign language audio options. Exposure to foreign language at a very young age stimulates brain development. This from Nisa: I also like to give my kids crayons and paper while I write and I read off sentences from my story. (Obviously age appropriate sentences.) Little ones also love starfall.com, which is a website that teaches letters and reading. It would be a great activity for them to do while you're writing as long as they know how to use a mouse and the computer. My three year old does this with his 21 month old little brother. It's great time they get to spend together. The first thing to do when writing with an infant is lower your expectations. Don't worry, it's temporary! But babies do take a lot of time and care. A baby sling is very handy; you can have your baby with you and still have your hands free. Take advantage of nap time if you can... but if you are tired, sleep when Baby does. You'll need a clear mind to write effectively. Angie used to carry a basket around with diapers, wipes, and other baby supplies so she would always have them handy wherever in the house she was. She put her notebook in there, too, just in case she had a minute to write. Those baby play gyms that infants can lay under and play with are a good investment. Is baby up at night? Why not write? It'll help the time pass. Possibly the greatest gift we can give our children is the gift of reading - so be sure to let them see you read, and be sure to read to them daily. I'll leave you with a quote from Angie: "The most important thing, though, is to enjoy the baby! They're only that small for such a short time. Writing will still be there when your baby gets a little older." You can drop in on Angie's blog, Notes From the Writing Chair, for more good writing tips. Thanks, Angie, for your help with this article! Do you have any tips to share? I would love to include them with this article and link to your blog! Sarah Heller of the Helen Heller Agency represents an internationally best selling list, specializing in first fiction, with a focus on high end commercial adult and YA fiction. Terra Chalberg of the Susan Golumb Literary Agency is seeking commercial fiction, literary fiction, offbeat/quirky, and short story collections. In non-fiction she is seeking biography and memoirs, business and finance, history and military, journalism, narrative, science and technology, travel, and women's issues. Monika Verma of the Levine Greenberg Agency is looking for a wide variety of material. From the LG website: Monika keeps a special place in her heart for pop culture, humor, narrative non-fiction, fashion, foodie, and music titles. She loves to represent books that makes people's lives just a few degrees sunnier, be those quirky memoirs, satirical humor collections, or old-fashioned cookbooks. On the fiction side, she stays up far too late reading literary mysteries and suspense, especially those from across the pond (some of her favorites are Kate Atkinson and Benjamin Black). She often suspects that she was born in the wrong century, and loves books that give her a window into an older way of life. Erin Edmison of the Karpfingers Agency is accepting queries for literary fiction, multicultural fiction, offbeat/quirky, and short story collections. In non-fiction she represents biography and memoirs, celebrity, pop culture, music film and entertainment, cultural/social issues, current affairs and politics, history and military, journalism, multicultural, narrative, science and technology, travel, and women's issues. Lucinda Blumenfeld with Fletcher & Company is interested in representing journalists, specialists, and emerging, young voices. Specific categories include: narrative and prescriptive nonfiction, business, memoir, YA, cultural studies, commercial and literary fiction. Check out Writer's Digest's Popular Fiction Awards, a short story contest with lots of cool prizes. Entry deadline is November 2nd. Rachelle Gardener delighted me with a blog post I love enough to print and frame: Gone Fishing is a delightful collection of ways to be the best writer you can be. Thanks, Rachelle! Be sure to read GLA's post on What You Should Write in the Bio Paragraph of a Query. SALE of a Secret Writing Weapon: Are you not getting the response you hoped for with your queries? Look no further than From the Query to the Call. Written by our own query expert Elana Johnson, it is on sale this weekend only. You can own this e-book, which could be your key to unlocking agents' doors. I recommend it whole-heartedly and would love to hear of your success stories resulting from it! The secret diary: Most of us, especially women, had them as teens. We expressed our hopes, fears, problems and crushes in writing for various reasons. We railed against the mean girl who was our arch enemy. In some ways it was therapeutic. Sometimes the therapy came in the form power from the knowledge that we had a special secret journal of our personal life that we could choose to share if we wished or hide from the *gasp* authority figures in our lives. Some keep diaries even as adults. Now, I've never been a diary keeper. In fact, it never made sense to me at all. I tried as a teen because my best friend was the diary queen. She would hide her diary carefully from her family or "accidentally" leave it open to a page to indirectly pass on information. She could control how, when, and to what degree the information was disseminated because she had physical control of the diary itself. Enter the electronic age and the blog. As writers, we know we need to have a web presence. We are told that by other writers, agents and editors. But there is a difference in a web presence and a beneficial web presence. "Make yourself Googlable," agents tell us. Okay. Done. I start a blog. It's free, it's easy, and heck, it's even fun sometimes. Many writers use their blogs to journal their road to publication. Any of us who are walking on the sharp rocks of that road in our bare feet know it is a hell of a tough journey. There are bloody footprints to prove it. 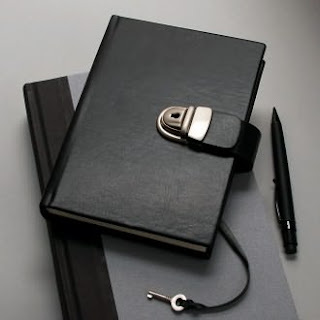 Here is the point of my post: Do not use your writer's blog as a private diary. I pop onto aspiring writers' blogs all the time and large percentage of them are devoted to whining, complaining and lamenting the unfairness of the business. Okay, Mary. It's my personal blog. I can write whatever I wish in any tone I wish. Darn right. But writers need to be aware of the potential pitfalls. Why do we blog? I think that is the first question to be asked. Specifically, What is the purpose of this particular blog? Who is the audience right now? Who will be reading it in the future? My diary-loving friend would tell me how when she was famous, she was going to publish her diaries for lots of money. Again, she was physically controlling the information in that diary hidden in the bottom of her closet under her box of summer camp photographs. In blogging, we lose control of the information the minute we hit "publish." There is a reason the button says that. "Publish" means to make known generally, and boy, do we. So many times on twitter I've seen people say something like, "How to alienate the children's publishing industry," or "How to never get published," followed by a link to the post of a poor writer who has lost control on her/his blog and gone off on a career-impacting rant. Yes, we can set the permissions on our blog to a very narrow audience, rendering it private, but if we, as writers, are using the blog to increase our web presence or establish platform, that is not practical. Keep the nastiness private. I have a crit partners who have endured endless rants about the difficulty of this business along with my insecurities all laid out for examination. I would never put these tirades up on my writer's blog. But to remain stable, most of us need to vent occasionally. My advice is to never write anything on your writer's blog you do not want read by your agent, publisher, spouse, child or fan. If your career takes off, your unpleasant post could be more wide-read than you ever intended. Think long-range. Do not give tallies of the number of queries sent/rejected/accepted. This never works as planned. If I'm an agent and you have queried me, I might google your name if I like the letter or pages. What if I go to your site and see you have received zillions of rejections and very few requests? Naturally, it's up for interpretation, but it might backfire. What if you have ranted about how unfair and crappy a certain agent was with her form rejection? I work for a different agency, but we share office space (this is common) and talk every day. I like her. So much for the full request I was going to send you. 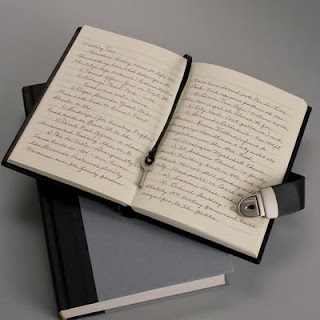 There is nothing wrong with opening your diary about the hardships of publication as long as you keep in mind the person you least want to read it probably will. Don't rant and don't give out your rejection count. I know of several cases where agents have told writers they requested material based on their sites or online presence (I'm one). I also am aware of a couple of cases in which an agent said that she found the presentation of the writer's blog offensive and unprofessional and were not going to pursue representation for that reason. Now, I don't mean you have to be serious and stuffy and only blog about writing. Your website can handle that part. Quite the contrary. A blog is where you let your personality show. I'm not much of a blogger by anyone's standards. I blog mostly about writing and my road to publication, but on the rare occasion when I post, I try to make it fun for myself. The posts where I am "me" are the ones that get the most hits. I've blogged about singing out loud in a Waffle House and getting caught at the country club in my pajamas. It lets my online friends get to know me as a woman and not just as a writer. It doesn't mean I don't get discouraged and have posts that reflect that, I just refrain from ranting, venting or giving out information that will come back to bite me someday (My ever-tolerant crit group receives the full force of all of that). One last parting bit of advice from someone who needs advice herself: Refrain from mentioning anyone by name in a negative light. Most folks are aware of this, but I'm a total technotard and found this out a year into my writing career *blush*: There is a thing called "Google Alert." If a person has it on their name (as I do now), she will receive an alert every time her name is published online. I get dozens of alerts a day, most of them not about me, but some are. Agents/writers/editors use these. Your private diary can now broadcast with pinpoint accuracy to the people you are talking about. Be yourself on your blog, but remain professional. Use care. Be aware of the image you want to project and keep in mind that every person with a computer holds the key to your private diary. Okay, not really your mistakes. But those your characters make. By the end of the novel, do they need to own up to their mistakes? As authors, we want to create characters that grip the hearts of our readers. This means that we put them through horrible things. We make them choose things that some might see as "wrong" or that could be illegal. We do this to show them as 3-dimensional, real people. All these bad things your characters go through is good. The bad choices they make are even better. I mean, the more layers your characters have, the more levels on which your readers can find a connection. (I mean, come on. How many of us have made bad decisions? Go on, raise your hands. Yeah, me too.) Those are the characters we identify with, the ones we love--the ones who are imperfect yet lovable. Because that's how real people are. So back to the question at hand. At the end of the story, does the character have to own up to the things they've done wrong? My advice: Make it authentic. If a punishment is necessary for character growth and plot development, then yes. Absolutely make your character go through that ring of fire and brimstone. Give them emotional consequences. Real-world consequences. Allow them to grow. And allow us to experience all of that with them. Now, that doesn't mean that every little infraction they've committed has to be brought to light. In real life, people get away with things all the time. I do believe, however, that if you bring your characters to the fire--and then pull them through it--your readers will identify more strongly with them. Think about it. Who wants to read about someone who gets away with everything? Never has to pay for a mistake? Go on. Raise your hands now. Mine's not up, because I'd rather experience the growth of a character that comes from learning the hard way. Creating memorable characters is essential in good fiction writing. If you make them pay for the (major) things they've done wrong, they'll be richer, deeper, unforgettable. So go on! Make them suffer, just a little bit more. QueryTracker.net received a face lift that included not only a new look, but exciting new features. In addition to the extensive list of literary agents and features already in place, networking and publishers have been added. You can read about the upgrade here and visit the new QueryTracker here. Several new agents were added to the QT database in the month of September. Check out their profiles for website links and genres they represent. Teresa Kietlinski joined the Prospect Agency. Myrsini Stephanides is new to the the Carol Mann Agency. Kerry Evans is now with Levine Greenberg Literary Agency. Leslie Kaufmann joined Kneerim & Williams at Fish & Richardson. Adriana Dominguez is now an agent with Full Circle Literary, LLC. Congratulations to QueryTracker member, Scott Tracey, whose book, Witch Eyes, was sold to Flux Publishing in a 2 book deal. Mr. Tracey is represented by Colleen Lindsay of Fine Print Literary Management. Congrats, Scott! Literary agent Kristin Nelson blogged about how agents make money. I liked Eric's post over at Pimp My Novel called "Never Give Up! Never Surrender!" Guide to Literary Agents is hosting a fun contest called "The Worst Story Ever Told." Dial Books editor Liz Waniewski is interviewed by author Cynthia Leitich Smith on one of my favorite blogs, Cynsations. You should also check out Cynthia Leitich Smith's website. She has great information for writers including children's and young adult literature sources and agent interviews.